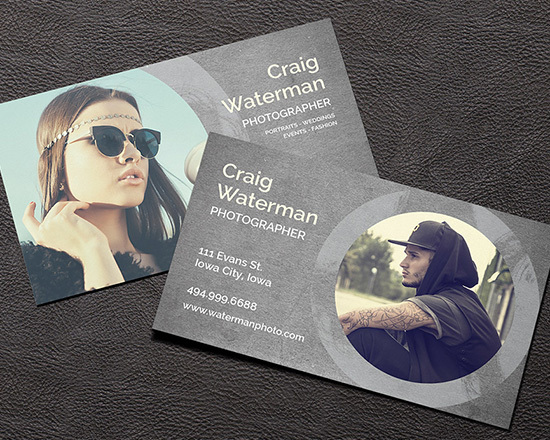 Create an amazing, custom business card and leave a lasting impression with this exciting business card template. Includes both front and back designs as shown. Easy to edit and fully customizable in Photoshop. Change colors, text and more! Fonts used included. 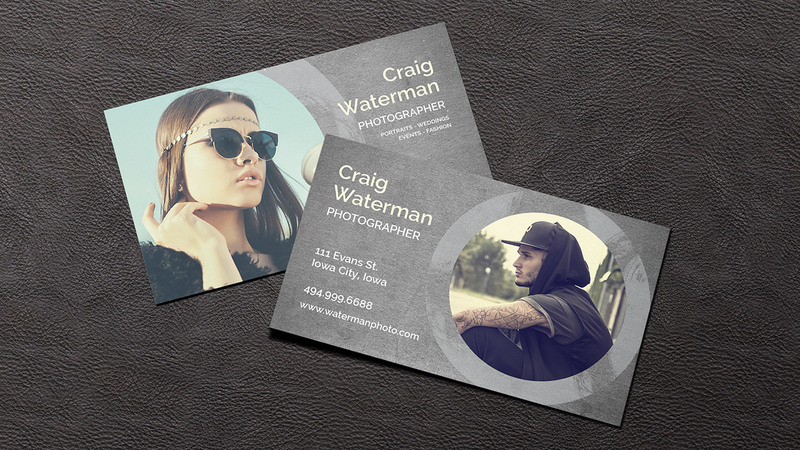 Simply add your photos with the included Photobacks Control plug-in for Photoshop, update your contact information and print at any lab! (If you need help finding a lab, just let us know!) Sized standard at 2×3.5 inch at 300 dpi, plus a 1/4″ bleed and guides.